Bozeman Montana Bridal Walk Coming Soon! Great Sale Still Going On At Michaels In Bozeman! Save up to 20% on select bridal gown and accessories and $20 off ALL bridesmaid dresses! Now would be a good time to browse at their stuff and see if anything catches your eye! If you are still trying to figure out where the big getaway will be, maybe this could spark a few ideas! These are all wonderful tropical islands! Are you more of an island beach bum? Or a European backpacker? Never stop looking for the best place with the best deal! Linens aren't supposed to be a big deal, but when it comes to weddings they are. Which takes people by surprise. You can spend a small fortune renting linens, to have them the perfect length and color but you could save yourself a lot of money if you bought them yourself. Sure you will be left with a bunch of tablecloths when it's all said and done, but you never know when someone might want to rent them from YOU. Also a cheaper route could be thrift shopping for some cute shabby chic miss matched ones. The different colors and textures could add a certain personality to your wedding. Just something to think about when you are trying to cut back on the money spending! 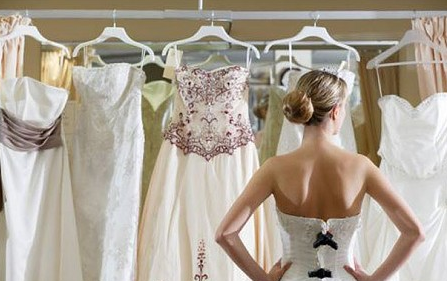 What you shouldn't do while shopping for your wedding dress! Are you at the dress picking part at your wedding planning? Are you going to be soon? Then maybe you should take in to account these 5 tips! If you watch wedding shows on T.V of people picking out their dream dresses, you may be getting high expectations for when you shop for your dress. If you don't start breaking out in tears, don't worry, thats actually normal. Most woman actually don't start balling when they find THE dress, so don't let that determine your decision. Don't rush out and buy a dress at your first appointment. Take your time make sure you are getting the best dress for your money and style. Who knows, the dress your looking at could go on sale next week! 3. Don't just stand there! Typically at a try on, you stand on the pedestal and smile! But not a lot of people take a moment to see how they will walk, sit and dance in it. Think of all the movements you are going to have to make in it and try them out. It may change your mind on what you were thinking of looking for. Sometimes you and your friends might get caught up in the moment and forget that you need to remember what these dresses look like later. Make sure someone has a camera out to snap shot some of your favorites. You always hear the phrase "What do YOU want", but when you are trying on dresses, it might be good to think of what your fiancé likes as well. If you are deciding between dresses, and you know your fiancé hates lace, well that might help you make a decision. 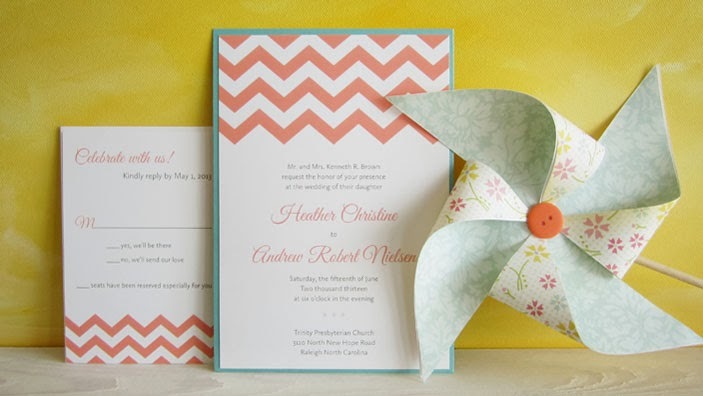 A lot of people know that they need to have nice invitations, but they really are important for your guests. Always design the invitations with the colors and style for your wedding. The guests will know the type of colors they might want to wear, and style according to your invitation. Its the first thing that sets the theme for your wedding to make it count! 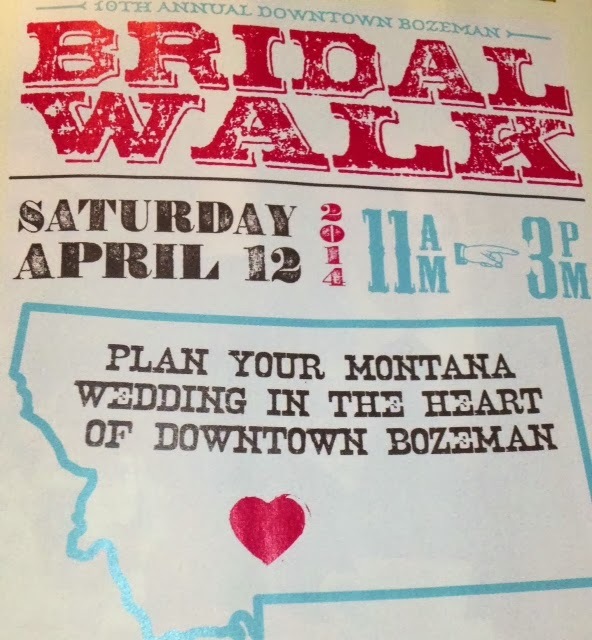 Bozeman Montana's 10th annual downtown Bridal Walk is happening in just a couple months! Its a great place for soon to be brides to get ideas about their venues, caterers, dress, florist, honey moon, decorations, rentals, and more! So make sure to add it to the calendar. Go to your local Michaels and check out all of their wedding clearance! Also, there are hundreds of invitations you can order at Michaels.com! True love and love of bacon have joined hands at many wedding across the nations. Many brides are having their caterers set up full-on bacon stations and these delightful tables are usually more crowded than the bar. Bacon-shaped cake toppers are also available at etsy.com and a very popular frosting for the wedding cake is bacon buttercream. One couple even got married at a California bacon festival. The bride carried bacon roses and the guests tossed bacon bits instead of rice. Check out 108 bacon recipes in the latest edition of Food Network magazine.